Memorize these laws and think about them. Write down copies and tie them to your wrists and your foreheads to help you obey them. I have heard Pastors and other Christian leaders talk about finding a “life verse.” A life verse is more than a favorite verse; it is the verse that speaks directly to you in a remarkably personal way. With more than 31,000 verses in the Bible the task seemed overwhelming to me, so I put it off. I wondered how one verse could speak to my life now, and ten years from now. Still, it’s a concept I wanted to explore further. 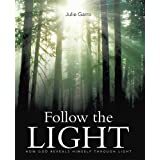 Over time, I read articles and blog posts from various Christian authors. There was no shortage of advice, but still, I couldn’t pick one verse. As I reflected on what verse to select I thought I should pick a verse that I could quote while sharing the gospel, and to give myself encouragement. I googled “Top Memory Verses” and read over 100 suggested verses. Several would have worked as a life verse, but I was not drawn to any one particular verse. There were also personal struggles going on in my life, which made the decision more difficult. It wasn’t until I set out to read the entire Bible that I found my life verse, tucked away in the book of a minor prophet – Zephaniah. Part of Zephaniah, chapter 3, discusses the blessing of restoration for God’s people. It also points to Christ’s millennial kingdom. As a young adult I ignored the Lord. Although I regret my foolishness, this verse reminds me of God’s great love and forgiveness, and His ability to make great change in anyone’s life, even after disobedience. It also points to a future of hope. 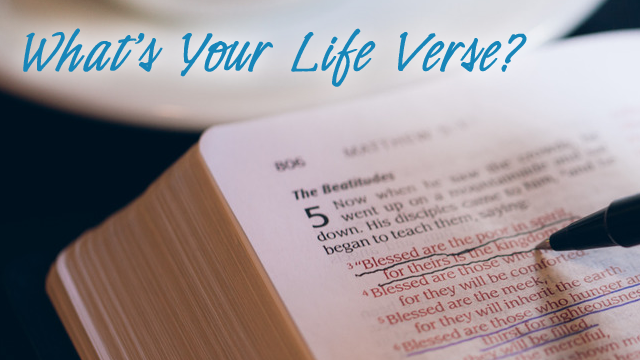 What’s your life verse? If you don’t have one I encourage you to find a verse that speaks to you so personally, you find it a special treasure. This entry was posted in Christ, Christianity, Faith, God's Love, Inspiration, Ministry, Refreshment, Spiritual Journey and tagged Bible, Life verse, Restoration, Scripture. Bookmark the permalink. Thank you for stopping by my blog and adding a great verse to this post. Blessings on your day. Great verse Julie … and one I was totally unfamiliar with. thanks for sharing! He keeps me, protects me & cares for me. Amen. Thank you, Jesus! I found my “life verse” a few decades ago. It is Isaiah 86:11. Teach me your way, O LORD, that I may walk in your truth; unite my heart to fear your name. Growing up in church and graduating from a Christian high school, one chose a verse to sign in the yearbooks. I think mine was Philippians 4:13. I can do all things through Christ who strengthens me. It’s truth and a great verse. When I was 30 & had my baby girl, I knew I had to make some serious changes and really let God heal wounds and clean up some “generational junk”. I carried a lot of fear and didn’t want to send that along in my hope chest to my darling girl. I started active Bible study under amazing teachers and a verse that I claim as my life verse was introduced to me. I John 3:1 tells me who I am and I truly started to believe it & live it. “How great is the love the Father has lavished on us that we should be called the children of God, and that is what we are!” When we truly know who we belong to, what or who can stand against us? Nothing is impossible with God, for He rejoices over us with singing and quiets us with His love. He can do immeasurably more than all we ask or imagine and we can be still because He fights for us and HE IS GOD AND WILL BE EXALTED IN THE NATIONS! All that has breath praise the Lord!! Thank you so much for sharing your story and verses – and for stopping by my blog. I look forward to reading more of yours. Beautiful Julie- I love your verse… isn’t it so amazing to think that the Lord our God will sing and be joyful over US… WOW what a thought! I have 2 thru the years that I have claimed… the one that gave me Freedom to be who He called me to be is Phil 2:15b-16.. “..Shine like stars in the universe as you hold out the Word of Truth..” For many years I was afraid to give Him all of me.. my personality, etc.. trying to be what I ‘thought’ He wanted… when all the time He wanted me to be who He created me to be.. I know sounds so simple… for it is — Freedom! Thank you for your kind words! And for stopping by my blog. 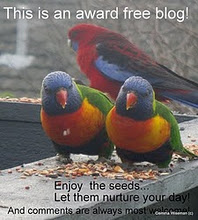 It will be fun to check out more of your blog. Blessings back to you.